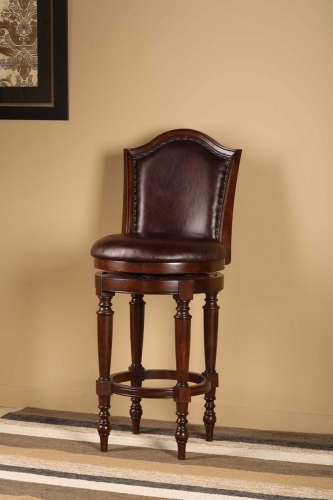 Charming and antique inspired, the Barcelona Stool is sophisticated and chic. Crafted of solid hardwood with a brown cherry finish, the back and 360 degree swivel seat are covered in a distressed, brown vinyl. The Barcelona is available in both bar and counter heights.